I went out with my fiance to pick some strawberries. Her goal was to pick berries and make a dessert or two. My goal was to pick around five pounds total to accommodate the desserts and some much needed mead-making. 7.5 pounds later we hit the road back home. That night, we prepared all the berries, washing, cutting, etc etc. They’re still in my freezer. 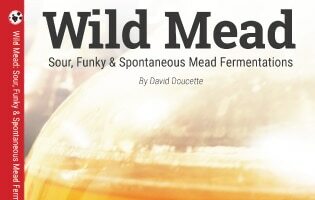 If you’ve contemplated doing a strawberry mead (who hasn’t), you’ve probably struck out onto the web for more information. Most of you have probably seen one of two things. Fermented strawberries don’t taste quite right and/or That beautiful red color goes to brown. Both of those things are true. However, there is some pretty hefty speculation (or its just in my head) about pectins and color retention. BUT WAIT PECTIN IS A PROBLEM NOT A SOLUTION! In one of my first meads I boiled a bunch of strawberries and raspberries to sanitize them. I had created an extra serious pectin problem. Months went by with no clearing. I added some pectic enzyme and my troubles cleared in just a couple weeks. I payed no mind to my problem since I had already solved it. 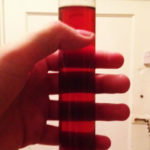 However looking at other peoples strawberry mead brew logs, they were all losing color no matter how many they used. The difference between us was the pectin haze. Its my theory that pectin haze creates significantly better color retention than secondary (or primary) fruit additions. So this is I guess a further test of that theory as well as I just want some more melomels in my stock. 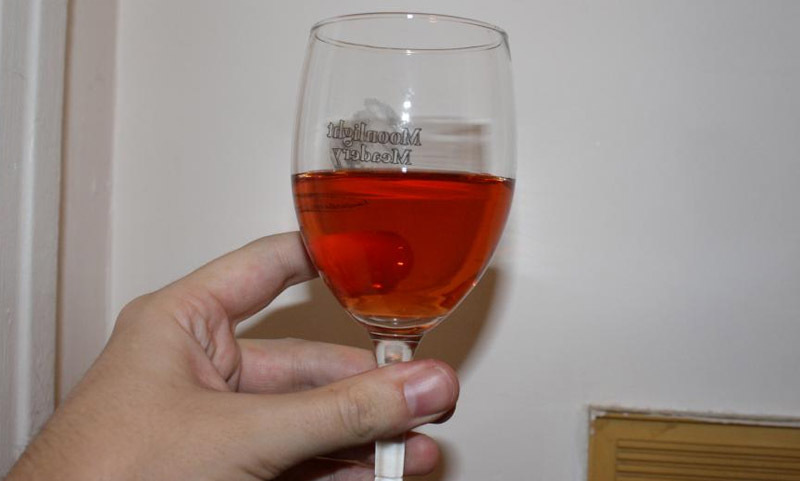 Light mead using red currant jam and strawberries. To begin, sanitize all your equipment. I used the no heat method and added the jam with the honey. Then added water to have it dissolve, I incorporated everything as best I could but the Jam really enjoyed the bottom of the carboy. When I’m ready to rack into the secondary, I’ll stabilize the mead, and backsweeten with as much strawberry juice as I need to top it up (not fermenting the strawberry juice may aid the not so right fermented strawberry flavor). I’ll be starting my nutrient addition at the first signs of fermentation and front load the entire nutrient amount. 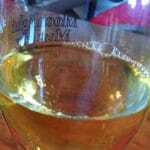 (I don’t stagger for hydromels since they are already low gravity and the yeast doesn’t need too much special attention. The jam has seperated into the floaters and the sinkers. I expect that the yeast have woken up and that fermentation will begin shortly. Fermentation is visibly wrapping up by means of airlock activity, bubbles rising the side of the carboy, and foam. It’s actually a bit slower than I had expected this batch to be. I probably didn’t give it enough love during the first few days. I wasn’t at my house very long yesterday. Just enough to taste a few batches and make sure nothing got “out of hand.” I’ll take a gravity reading on Thursday night. The taste on this was pretty good. It wasn’t hot which was nice despite the temp being well over 70 degrees. That could be related to yeast selection that can handle temps well into the 80s (according to RedStar). The taste is at the moment very currant forward with a nice tartness throughout. Once I add the strawberry juice, I hope it gives it a little more character, some strong strawberry flavors. The strawberries have a tartness of their own which should help to not knock-out the currant notes. The strawberry hydromel is starting to clear rapidly. I racked this to a secondary on top of sorbate and sulfite to prepare for back sweetening. The gravity read 0.998, so it’s done. For being so dry, the flavor is actually kind of sweet from the acidic currant notes. Right now that ABV sits at ~7.6. I’ll wait for the yeast to get killed off and back sweeten with strawberry juice from hand picked strawberries. The strawberry hydromel got backsweetened with a goop made from strawberries in a food processor. It was very messy, and I don’t recommend it. Either way, using whole or blended berries, you get a ton of lossage by bottling time. If you have a steam juicer you may want to go that route instead. After all was said and done, I got only 6 12oz bottles form the gallon batch. They did however, come out beautiful. The strawberry notes are clean and noticeable as strawberry. Very Strawberry Forward. The currants suit well as a great supporting flavor.